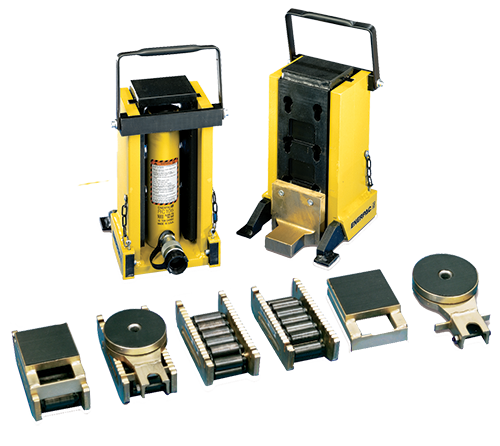 In addition to our standard range of Enerpac Block Cylinders we also offer a range of made to order Block Cylinder with strokes of upto 100mm. 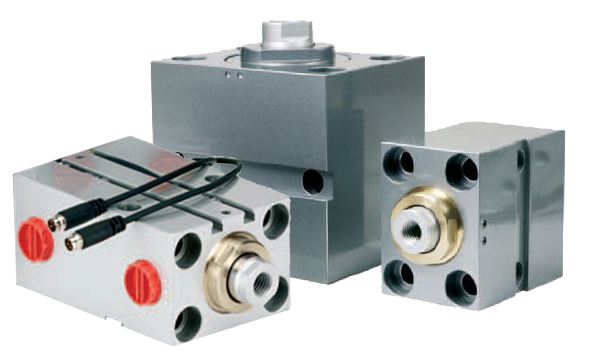 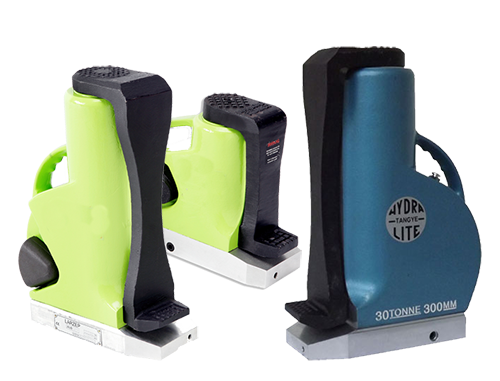 The 2 block cylinder ranges include lightweight, corrosion resistant Aluminium Block Cylinders for pressures upto 160 BAR from 20mm to 100mm Bore capable of generating upto 12 Tons force (125kN). 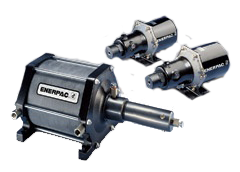 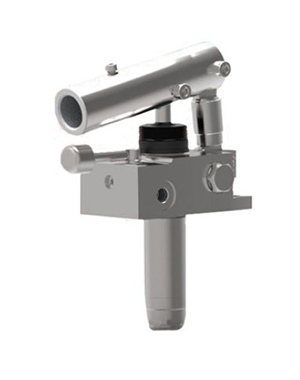 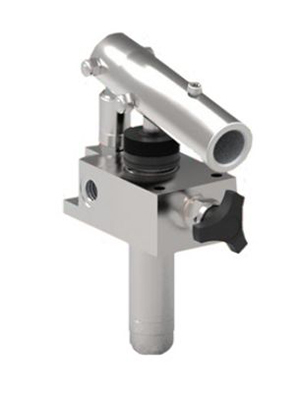 These cylinders are available with magnetic position sensing for full system control. 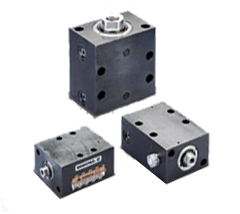 For heavy duty use we also offer a range of Steel Block Cylinders in the same bore sizes for upto 320 BAR capable of a top end of 25 Tons (251 kN). 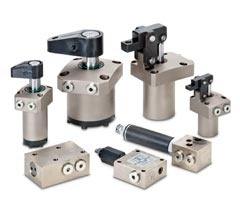 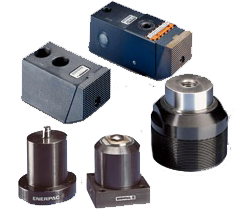 These block cylinders are suitable for use for punching, pressing, riveting, moving, positioning, clamping and any other application that requires a powerful yet compact modular design, easy to install with many options to suit your requirements.